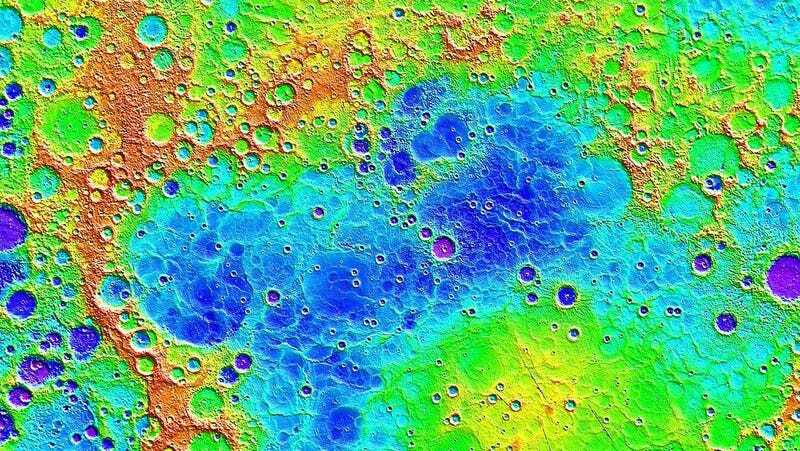 An image of the surface of Mercury. A team of scientists just demonstrated something that might shock you: Mercury, not Venus, is the closest planet to Earth on average. The researchers presented their results this week in an article in the magazine Physics Today. They explain that our methods of calculating which planet is “the closest” oversimplifies the matter. But that’s not all. “Further, Mercury is the closest neighbor, on average, to each of the other seven planets in the solar system,” they write. Wait—what? Our misconceptions about how close the planets are to one another comes from the way we usually estimate the distances to other planets. Normally, we calculate the average distance from the planet to the Sun. The Earth’s average distance is 1 astronomical unit (AU), while Venus’ is around 0.72 AU. If you subtract one from the other, you calculate the average distance from Earth to Venus as 0.28 AU, the smallest distance for any pair of planets. But a trio of researchers realized that this isn’t an accurate way to calculate the distances to planets. After all, Earth spends just as much time on the opposite side of its orbit from Venus, placing it 1.72 AU away. One must instead average the distance between every point along one planet’s orbit and every point along the other planet’s orbit. The researchers ran a simulation based on two assumptions: that the planets’ orbits were approximately circular, and that their orbits weren’t at an angle relative to one another. It sort of makes sense—if you were getting seats to a football game, you’d prefer one near the 50 yard line rather than one of the end zones in order to see the most action, even if you’d occasionally be much closer to the players from the end zone. That’s sort of what’s going on here. Indeed, they found that Mercury was the planet closest to the Earth for the most time, on average—and to every other Solar System planet. Pluto’s inclined and eccentric orbit does not work with their assumptions, but it’s not a planet anyway, as defined by the International Astronomical Union. Please do not email me about this. You can read about the mathematical nitty-gritty at Physics Today or watch an explainer of the math on YouTube. 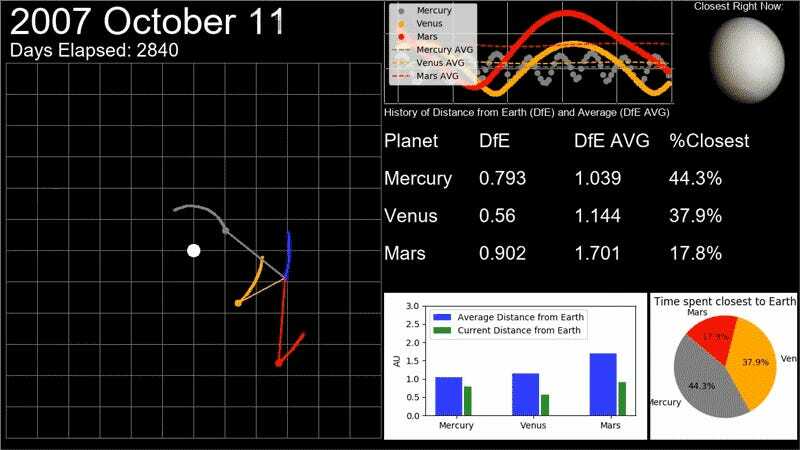 But provided there are no glaring errors in the analysis, I think it’s time we say “bye!” to Venus and welcome our new closest neighbor, the best planet, Mercury.